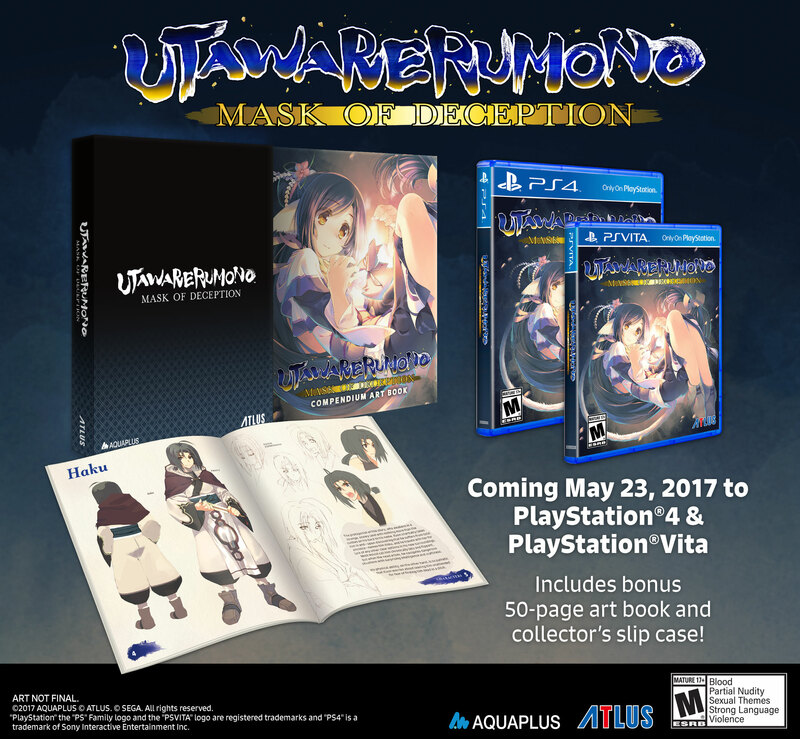 Atlus U.S.A. have announced the release date for the English localisation of the Aquaplus visual novel/strategy RPG hybrid Utawarerumono: Mask of Deception. This title will be launching in North America and Europe on 23rd May this year. Furthermore, a 50-page compendium artbook and a collector’s box will be included with all launch edition copies of the game for both PS4 and PS Vita in North America. This 50-page artbook will contain concept art and developers commentary about the title, as well as discussion on the in-game lore. You can preview this compendium here. Furthermore, a story trailer was released detailing the setting of this game, as well as showcasing the gameplay with the fully localised English text. You can watch this new story trailer below.